Part 3 of 3 for a series of posts in the Writing 101 course. In part 1 of this lost & found series, I rediscovered lost books from my childhood. In part 2, I talked about watching my son find a love of reading for himself. Today, in part 3, I’ll reflect on the whole idea of lost and found and how it all relates to a love of reading. If you stop and think about, there’s a lot of language we use to talk about reading that relates to being lost. 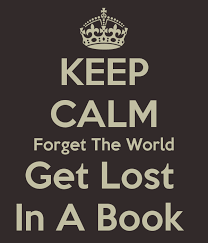 The phrase “lost in a book” is an all-too-common cliché. And, like most clichés, it’s become so because it rings true. Anyone who’s read and loved a really great book can relate to the feeling of getting lost in it. A good story pulls us in and doesn’t let go–sometimes not even after we read the final page and put the physical book back on the shelf. The story remains with us. It’s a good kind of lost–the best kind, I’d argue. Losing yourself in a book, leaving the world and its worries behind, getting wrapped in a story and a world apart from your own–these are the things that keep us returning, time and again, to the pages of books. But we find things in books, too. Sometimes things we didn’t even know we were looking for. When I first cracked open the pages of Jane Eyre for required reading in 9th grade, I didn’t know I was about to discover a story that would stay with me and follow me through the rest of my academic career, to my senior honors thesis and on into teaching. When I first unlocked the language of Shakespeare, I didn’t know that I’d uncover a love of literature and the craft of writing that had always been inside me, but that I’d never acknowledged as something that could turn from passion to life’s work. When I first read Harry Potter and the Sorceror’s Stone, on a whim because I was sick in bed and bored (I’d rather have been at school–I was that kind of kid), I didn’t know the incredibly complex and wonderful world I’d was about to find in its pages. I am rereading the series now, in fact, and discovering brand new things about it I’d never considered before. As a librarian, both the lost and found aspects of reading are part of my job. I firmly believe that even the most reluctant student, the one who stubbornly insists, “I HATE reading!” on a daily basis, can experience that euphoric feeling of “getting lost in a book” when he or she finds the right one. I love playing book matchmaker, and watching it happen. And I help kids find things within the pages of books. Whether its magic, inspiration, a connection to the past, or brand new information, the best part of my job is helping children make these discoveries. So, whether its for pleasure or school, escape or discovery, getting lost…and found…while reading is intrinsic to who we are, and speaks to our spirits. Next Next post: Writing 101: I Hate the Dentist! Thanks Emma. Enjoyed the whole series. Nice flow, connection to each post. How do you help adults, if you have ever tried, find joy in reading? How do you feel about the length of time reading a book: in other words speed reading vs other kinds of reading? In my experience unlocking the key to a love of reading is all about interest. As a school librarian I don’t work with adults per se, but I feel the process is similar…in library speak, we call it “Reader’s Advisory.” Get to know them, engage in conversation, and most importantly, know your material (there’s a reason librarians read a lot). Once I know what someone’s passions in life are, I can match them with a book that connects to those passions. As to your second question, when I’m talking about reading for enjoyment, I do feel its quality over quantity. A reader’s workshop model (or book club model for adults) where you take the time to do deeper thinking about what you’re reading, is what helps a reader get to that “lost in a good book” place in their imagination. I admire how you connected all three posts to a serie, while each one has its own focus. Great job!